Fans of Universal's movie monsters will be getting a perfect Halloween present this year. 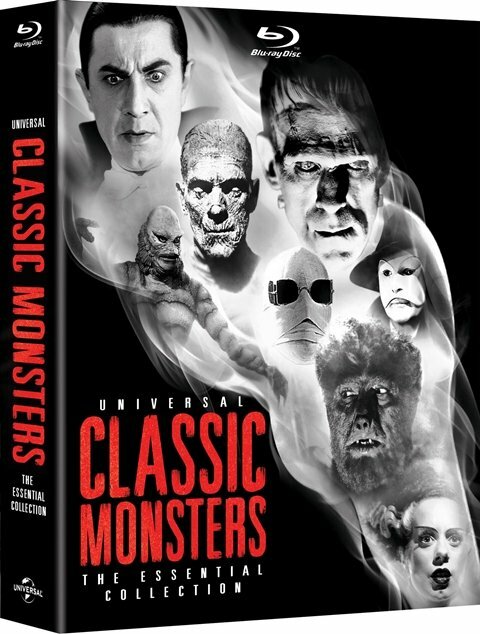 Universal has announced that movies featuring Universal icons such as Dracula and Frankenstein's monster will be coming to Blu-ray in the Universal Classic Monsters: The Essential Collection set. The collection hits shelves on October 2nd, packing in restored versions of eight films, over 12 hours of bonus features, and a 48-page collectible booklet. The Essential Collection includes all the classic creatures: Dracula, Frankenstein's monster, the Mummy, the Invisible Man, the Bride of Frankenstein, the Phantom of the Opera, and everybody's favorite gill-man, the Creature from the Black Lagoon. The line-up alone should be enough to tempt any true fan, but each film has also been digitally restored, so you'll get to see all the Universal classics with high-def picture and sound. You can check out a short featurette about the restoration of Dracula below, and then we've got the full rundown of each film's bonus features. Dracula: The Restoration -- New Featurette Available for The First Time!